Are you looking for ways to perk up your porch for the holiday season? Then give these 7 ways to decorate your porch for the holidays a try. You can make your porch look festive and inviting on a budget, even if you aren’t the most crafty or decorative person. 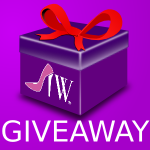 Here is how you can get started! 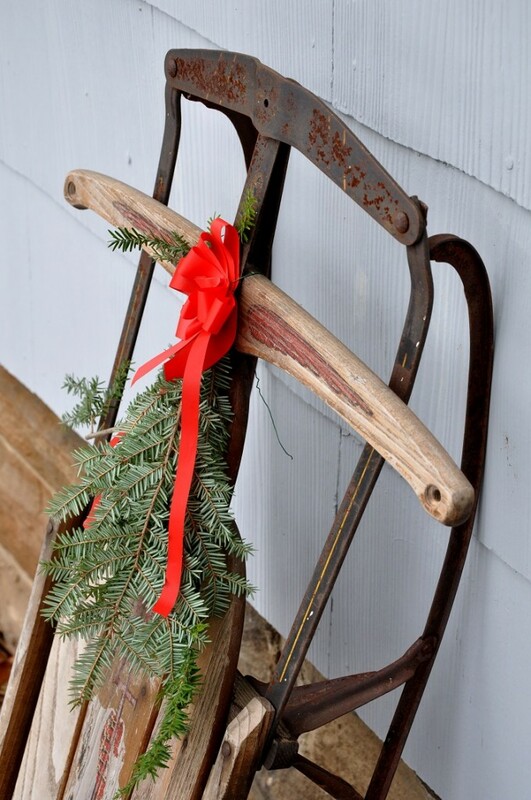 Take an old sled (found at thrift and antique shops) or even a new sled and prop it up on the porch. Hang some fresh greenery from it, or even hook a wooden initial on it. If you feel really crafty, you can even paint it fun and festive colors. 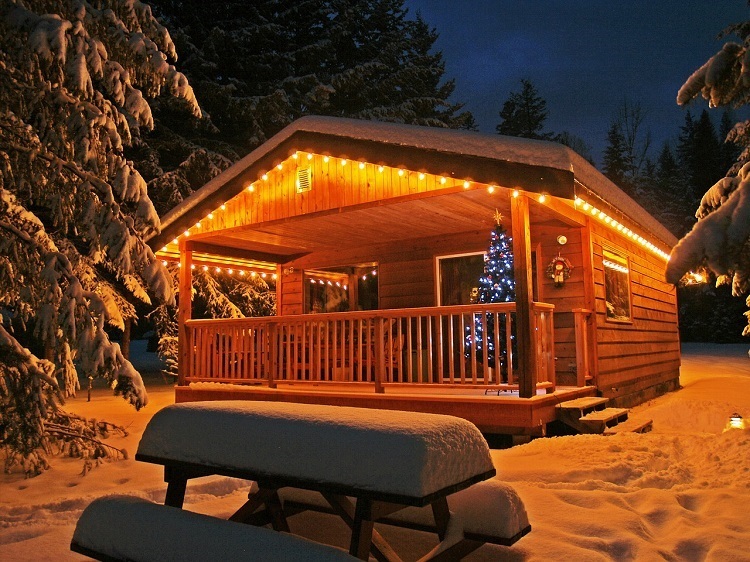 If you have an outdoor outlet, plug in some twinkle lights. You can gather the light strand in large baskets or jars, or drape them over an old chair. You can even take the traditional route of hanging them along the roof of the porch. 2. Gather winter sport gear. Hit up thrift stores and markets for used snow gear such as snow shoes, ski poles, ice skates, and skis. Assemble them in a basket with a large bow or some fresh greenery. 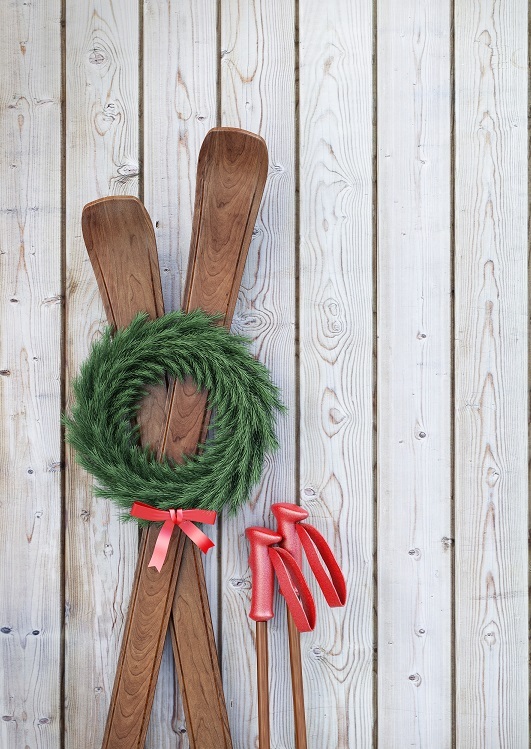 This assembly of winter sports gear is a fun way to welcome your guests. 4. Try a mini tree. Find either a fresh or faux mini tree (about 3 feet in size is great) and deck it out for the holidays. Add twinkle lights, shatter proof ornaments, and other décor items. It is a fun way to celebrate the season and welcome your guests. Plus, it is quite unexpected! 5. Use what nature gives you. 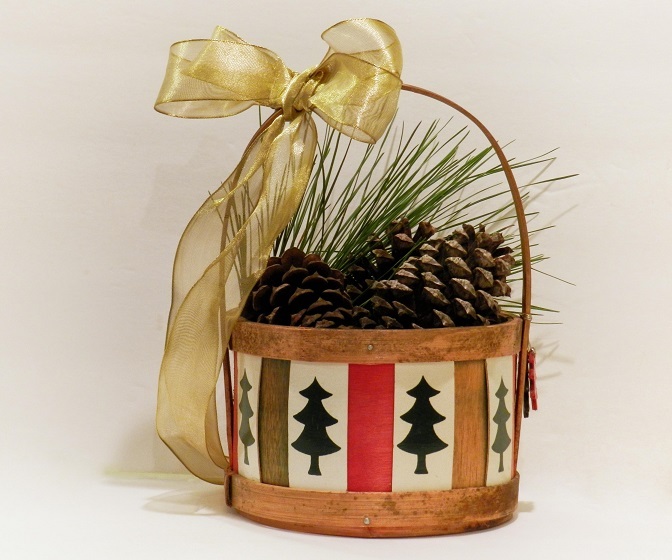 Gather a bunch of pine cones and arrange them in baskets or craft a wreath. You can also make swags and garlands out of fresh pine branches. Use what nature gives you and see how much décor you can create for free. 6. Make a twinkle light tree. Turn a tomato cage upside down and wrap twinkle lights around it. When you light it up it will look like a miniature tree, all dazzled up for the holidays! Buy some battery operated candles and place them in large vases, lanterns, or crocks. They will warm up the space and welcome guests with a soft glow. Make your porch look great for less when you give these 7 ways to decorate for the holidays a try. They are all fun, frugal ways to make your home look great! What are some of your tips that you use when decorating your front porch? Craft Your Holiday Gifts And Save Money! Absolutely adorable ideas! So cute. Makes me wish I had a porch and lived where it snows! Haha! I am sure many of those could work in places other than the porch, though. Need to try a couple for sure! I have a deck on the side of my house, which I rarely decorate because no one ever sees it. I love all your ideas, especially the mini tree one. OH for fun! Those are all such great ideas. I love the lights! So many great holiday ideas here. I love porches and wish we still had one. I love decorating for the holidays. This is a great post. Thanks for sharing. I want to try that tomato cage idea for a tree. Those would look so pretty on my patio! These are such pretty and festive ideas. Our porch is super small, so we generally stick with a wreath and maybe a plant or two. Living in Wisconsin often we get so much snow – I like to decorate with lights on railings and wreaths. Seeing that sled made me realize how much I miss going sledding! My front porch just has a wreath on the door right now. I like to keep things simple. Too much just looks messy. Wonderful homey ideas. Love the old-fashioned look. I saw a photo on Instagram of someone’s porch with a wagon full of cups and a pitcher of hot cider! How cool would that be?! These are all really great ideas. I love the idea of putting a tree on the front porch. These are all great ideas! My hubby and I were just discussing what we want to do with out porch this year! These are great ideas! We had a neighbor who always used the old wooden skis with pine branches. I think that looks so pretty! I have a porch but it’s an apartment porch and the neghbour kids like to get into things. I do think I could get away with candles but I’m not sure if I would be aloud to light them up. If I used lights my electric bill would go up. I do love the sled idea these are great for people who have their own houses and are not renters like we are. I didn’t know battery operated candles gave off heat. Good to know! Wow, great ideas! We just have a wreath up. I’m going to have to raise my game now. These pictures are absolutely beautiful, btw. The vintage sled and skis are my favorite. They are all very cute! I love all of these idea. What a fun and inexpensive way to decorate for the holidays. I have an old sled that I am going to decorate now. Thanks for the great ideas! We don’t really have a porch, but we do have a deck area I wanted to decorate last Winter, however, our pug goes on that deck and I am afraid she would get tangled in anything I tried to do on that deck. Maybe we can decorate the front of our home this season! Those are all nice ideas. I have a pretty holiday wreath that put on the door. Then, I put the tree so it’s displayed in the window next to the front door. I love the idea of using natural items to decorate your porch. We have a ton of huge pine cones that we use each year. What fun ways to decorate your porch for the holidays. I like the idea of battery operated candles outside. Gives a nice warm glow. I like the sled decoration. Brings back memories. These are some really neat ideas. I wish I had a porch, I would definitely do some of these.